While Distilled's blog usually focuses on e-commerce, high level SEO and big-budget outreach I thought I'd mix it up this week and throw a little something to the hard-working AdSense publishers out there. The following is a beginner's guide to Google's advertising network for publishers. If you've been receiving checks from Google over the years it's always advisable to take a step back and revisit some of the basics. Search engine exposure and organic traffic are great and all but we know you're also ultimately interested in those dolla, dolla, bills. The lines between paid and organic search are blurring while millions of site's revenue streams depend on contextual advertising to survive. 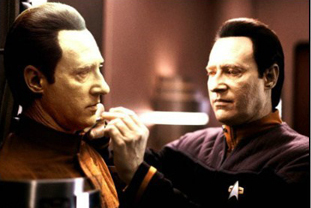 I'm convinced it's important that well-seasoned consultants and webmasters understand both sides of the equation. While you won't find many mind-blowing, "Increase Your AdSense CPC in Minutes!" claims on this page you will hopefully come away having learned something new. Or at least inspired enough to test something out on your own site. I hope this guide helps bridge the knowledge gap between SEO and PPC professionals. The old heat map was a bit too generalized for the myriad site designs out there. The above encourages publishers to place their ads in a way that doesn't circumvent their content. The possibilities are too numerous to dive into here but the idea is to get the ad in front of the user without taking too much away from the actual content. More ads in more obtrusive places does not always amount to more revenue (your ultimate goal, right?). The recent pagerank penalty for ads above the fold not withstanding; your readers are the life blood of your web property. Drive them away and you won't even have to worry about that little potential bump in CTR you've been trying to squeeze out of the site. Find a balance between intrusive and irrelevant, do some testing or better yet: poll your users to strike that balance. Why do these ad units perform better than others? Google's bidding system requires advertisers to create various multimedia ads for placement on their publisher network. Many companies do not purchase slots for all of the different formats so they ultimately don't even create those sizes. Therefore, if you're using a more obscure ad type the pool of bidding advertisers is smaller which results in lower revenue for you, the publisher. 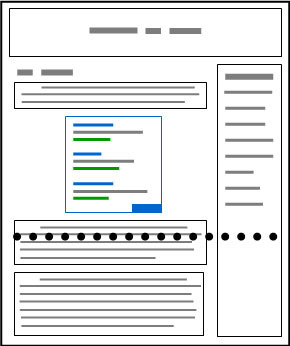 Stick to these four ad units and you'll get a lot more competition for your ad space. Image vs Text Ads - I've heard webmasters swear that their sites make more money when they limit their ads to "image only" or "text only" but in the end, Google's bidding system places the highest bidding ad onto your page, whether it be image or text. Cutting out half of the bidding pool can only lead to lower returns. That having been said, all of that means nothing if your own testing can prove a lower number of clicks on your specific site. Perhaps your site design performs better with only text on the page. If this is the case you may need to ask yourself if the way you are placing your advertisements isn't in violation of the Google Adsense Terms of Service as users may be accidentally clicking on the ads. Either way it is considered best practice to allow both text and image ads for maximum competition over the ad space. Blending vs. Contrast - Ah, another age-old AdSense debate. Should your ads be placed and colored in such a way as to blend in with your site design? Or will you get more clicks by having your ads stand out more? Webmasters are divided on this one but when a design feature is more or less a toss-up, in my mind, always go with what benefits the user. As a fellow website user yourself, do you prefer advertisements to "pop out" at you or would you rather they integrate seamlessly? Trick question, we know you're using AdBlock plus. Go back to Reddit, smart guy. Unless you come to me with some hard data showing that ugly ads will make us all wealthy vs an aesthetically pleasing one (and I encourage you to do that testing!) it just isn't worth the eye sore or the user agitation. But even then you spent a lot of money on web design and a lot of time making your site look just so. Don't sully that over a 0.1% increase in CTR. The blemish would have to have an unprecedented impact to even consider compromising my product: the character, look and feel of the site. We may have sold our souls to Google's advertising network but we're still very much in the "Overall Pageview" and "Returning Visitor" business as well, you know. Google and it's advertising partners want to reach potential buyers. If the traffic coming to your page isn't that of people willing to buy or shop online then a click from a user on your page is objectively worth less to them (see notes on CPC, CTR and RPM below). Google is confident in its own search engine (obviously) so organic traffic is very much considered "quality" traffic. I also suspect that Google favors "logged in" Google users for tracking and re-targeting purposes so referrals from places like Google plus are also desirable. Since there is the most competition online for English advertisements in the United States then that is the traffic most valuable to your site. Traffic from other English speaking countries (UK, Canada, Australia etc) is also coveted. Of course, site language and location aren't something you can change very easily as a webmaster. But do keep this in mind if you're seeing low numbers for a non-english site. There may be better contextual advertising alternatives out there for your language/country. It's important to note generally that Google keeps tabs on your traffic sources if only to help weed out invalid clicks. It also stands to reason that they use this data to help determine the quality of ads that will eventually appear on your site. 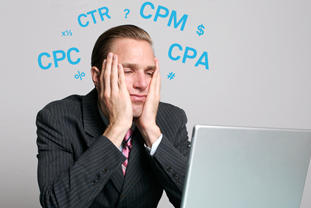 CPC: cost-per-click (CPC) is the amount you earn each time a user clicks on your ad. 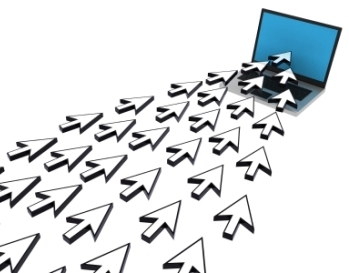 CTR: clickthrough rate (CTR) is the number of ad clicks divided by the number of page views. RPM: revenue per thousand impressions (RPM) is calculated by dividing your estimated earnings by the number of page views you received, then multiplying by 1000. These are the metrics you're going to be looking at when you're making decisions about ad performance. Pretty basic concepts, right? You've probably seen the cornucopia of less-than-reputable blogs with big promises of "Unlocking The Secrets to Increasing your AdSense CPC" or "How to Get More AdSense Clicks". In my experience these posts often advocate risky tactics and at the very least fail to completely demonstrate a comprehensive understanding of how AdSense works. Cost Per Click is a number we, as publishers have little control over. Much of the calculation is based on your domain's niche (Entertainment, Technology, Marketing etc) and that particular factor isn't something you can easily change. Check out this in depth report from Google on niche trends in display advertising (and tons of other great info). Much like Google's AdWords program, prices can range from a few pennies per click up to five or ten dollars depending on the competition for that keyword. But the higher the competition for that keyword or category the less likely that your domain will be pulling in huge amounts of quality organic traffic around that keyword because of that competition. Here's a fictional situation many people run into that may help you get a better grasp on these three metrics and to help answer the question: "What rate is Google paying me at?" A webmaster dives into her AdSense report for the past six months and sees the following. Up and to the right?! Not really. "Fire our webmaster, fire our PPC expert, fire everything! I thought we just read through that "How to Increase Your AdSense CPC" blog post last month?! How could this have happened to our amazing site?" Whoa there, CPC isn't at all the best indicator of AdSense success. "But isn't $5.00 per click better than .30 cents per click?" Looks a lot better, right? And assuming your pageviews have been increasing over that six month period you could also be seeing a nice uptick in revenue. Here's where RPM comes in. You've gotta love RPM because it includes a metric much more important than CPC or CTR: Revenue. RPM, remember is revenue per 1000 impressions. This is much more indicative of determining the rate at which Google is paying for your viewer's attention. Take a look at the RPM for the same period of time as the above two charts. See? No crisis. And I'll be damned if that isn't a slight increase! Remember that even a small bump in RPM can mean a lot for a site with upward trending page views. The other benefit of the RPM metric is that it can be easily compared across contextual advertising networks. Suppose you're testing out AdSesne alternatives and you want to compare rates. CPC and CTR don't tell the whole story. Even Revenue on it's own can be deceiving (seasonality, Reddit spikes, etc). RPM takes everything into account and gives you a versatile, accurate estimate of your imbursement rate. CPC and CTR are worth monitoring on their own. Of course you want your CPC to stay as high as possible. 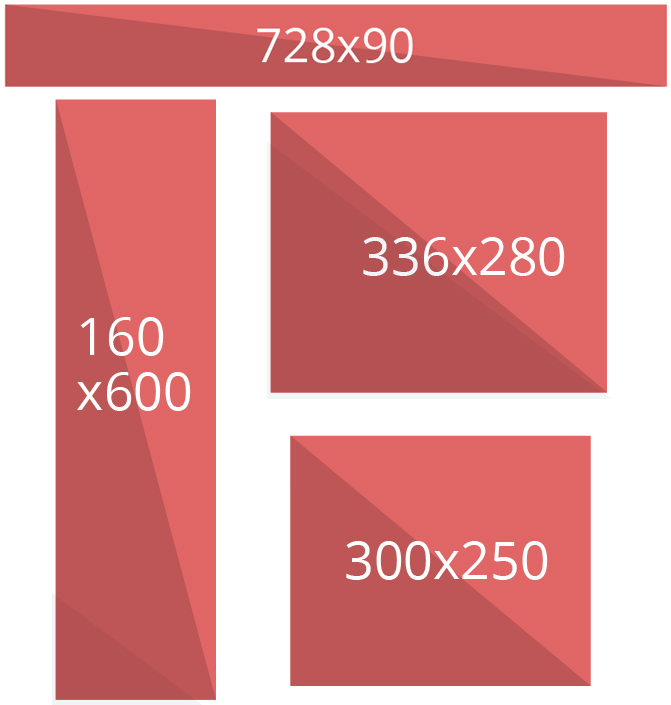 And obviously you'll use CTR to test banner sizes, colors, placement and ad quality. But at the end of the day the only thing that really matters to you as a publisher is revenue. To that end CTR and CPC just don't tell the whole story on their own. You'll probably read other articles promising increases in CPC or CTR TONIGHT! But be wary of anything that even comes close to violating Google's ToS. Avoid general statements such as "wider ads are better", "ads within content are always better" or "orange text is always better" because these might not apply to your site design, niche or site layout at all. There are several of these CTR factors (many of which I've addressed here) that are worth testing and are completely legit but we'll have to dive deep into those in distilledU or a more advanced post. AdSense allows publishers to block specific ads based on a few different parameters: URL (Target.com, eBay.com), Broad Category (Clothes, Cars, Animals), and Ad Network (DoubleClick, AdWords) are the ones you'll most likely use, if any. You can also choose to approve each advertisement manually but this will require your personal attention and also puts a drain on your overall revenue as it sort of grinds against the entire idea of a bid-based, dynamic advertising system. Google generally recommends allowing most advertisements through. Advertisers "bid" on ad placements based on keywords, topic areas and inventory. The advertisement that ends up popping up on your domain is the one that paid the most for that spot. Even if that ad looks like crap. Even if that ad is the same one that's been showing up for months. Google wants to make the most money from that ad unit as it can (hey, that's the same goal that you have!) so they inevitably advise users to utilize the ad filter sparingly. In my personal experience working with several sites running AdSense... wait for it... Google is correct. Google is aware of factors such as CTR so it is very doubtful that you have any information about getting better ads to your pages than they do. Perhaps in 2005, when the frontier was new and fresh, the AdSense algorithm was less able to deliver relevant ads to your pages. But we've come a long way since then and the ads that appear on your site are not only the highest paying, they're also the most likely to get clicked on. You also don't want to block ads from Target.com, eBay.com and hulu.com one week, forget about it for two years and then come back to your filter wondering why you limited yourself. (yes, this situation happened to me). So if you do use the ad filter be sure to check it periodically to make sure your blocks still make sense. If you're running a mobile-specific theme then you'll need to account for this. Make sure that your ads are tagged properly so that you can monitor their performance (see "Monitor Everything" below). You may have already noticed that AdSense ads delivered on mobile devices already look different than their desktop counterparts using the same code. Google has been making some changes recently to make the ads more "touch friendly". This includes font size changes as well as the addition of graphical, clickable arrows to encourage mobile clicks. Below is a bit of anonymous AdSense data that was taken over the past year and covers 4.5 million PVs. As you can see the distribution of pageviews across platforms is very similar to that of clicks. This leads me to believe that mobile users are clicking on AdSense ads at just about the same rates as desktop users these days, if not more so (this data was taken from a site without a dedicated mobile version or a responsive design). But what does this mean to you? Well first you should be sure to check these stats out for yourself. Results may vary given your setup. Does your distribution of pageviews match up with your distribution of clicks? If mobile is significantly down then you've got some 'splainin to do! There are too many possibilities to dive into here but if your mobile users aren't clicking on ads then take another look at how you're delivering content to mobile users and make sure it either matches the desktop experience or compensates for it properly. Just keep an eye on those stats as more and more traffic moves to mobile. This needn't be a negative development for your site or your pocket book. If you've got a dedicated mobile version of your blog then you might want to consider AdSense' mobile specific ads. Otherwise your normal AdSense code works just fine these days. Trying to nail down cause and effect scenarios with AdSense is a lot like trying to do the same in SEO. Was that increase in CTR caused by an on-page color change that I made or are we simply being served more clicktastic ads this month? How can you be truly sure with so many variables in play? You ultimately can't precisely do this and Google likes it that way. In fact, we should all like it that way because the system doesn't work very well if, as is sometimes the case with SEO, some are able to manipulate the system. But even so, as webmasters we know that if we keep a close eye on all of the variables and maintain a steady stream of incoming data we'll be able to make some educated guesses about what Google is looking for. Google AdSense monitors almost everything you'll care about right out of the box. You should immediately connect AdSense to your Analytics account as the data there cannot be applied retroactively. But the most important manual step you'll want to take is to apply a unique label to each of your ads. The AdSense console makes it (somewhat) easy to track how each ad unit is doing. All you need to do is create individual channels for each ad unit and you'll be able to track how each is doing. After a month or two of data you'll more than likely find that some of your ad unit placements are under-performing. With the Analytics connection you'll also be able to narrow it down to which pages are performing. Powerful information, indeed. Get rid of the under-performing units for the sake of your users and to increase your overall CTR. 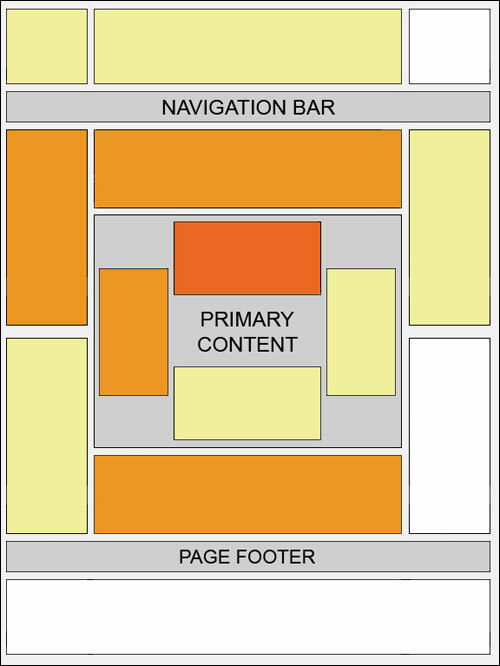 Or maybe even consider placing an additional unit on pages that perform well. You could even do some simple A/B testing this way to determine which ad styles worked best for you. You should also separate units by domain if you've got more than one site going. I could put together an entire post on the fun things you can do with this data but it's all for naught if we don't have it trickling in from the beginning so make that Analytics connection like, yesterday. Grab the Google Publisher Toolbar for Chrome for instant access to most everything you'll need without having to log in to adsense.com. Labeling Your Ads as "Resources" or "Favorite Links"
Perhaps blending your ads in with your site's theme just doesn't work as well as contrasting. Give it a test! Does Google insist on showing a certain type of ad on your page that you're convinced isn't getting clicks? Add it to the competitive filter and monitor! Google changes the hex color of their ad backgrounds, titles and URLs by all the time. Why shouldn't you? You'll never know for sure until you test it out on your domain, with your users, in your niche. Even if you're counting AdSense paper stacks like Dr. Dre you may inevitably see a dip in those numbers as user's preferences change. So these are the basics of AdSense for publishers. Hopefully you've gleaned at least one or two tips from the above information but for those of you pining for more advanced recommendations I promise to return with those in the future. As with Google's search algorithm we don't know everything about how AdSense determines CPC, ad quality or publisher quality. We assume that they're looking for signals similar to that of the search algo but of course there are nuances that, if known to publishers everywhere, would be abused. But this is just one more reason to Always be Tinkering with your AdSense placements. You have nothing to lose by doing a bit of A/B testing with your ads to determine which colors, placements and ad types work best. In the end the ad deliveries vary so much by niche, region and the browsing history of your visitors that some of these "rules" will need to be customized to fit your precise needs. Keep speculating. Test your own hypotheses in the real world and report back here with a comment or two.